An online news report published by the Manila Bulletin late last week alleged that a Father Clarence Marquez, President and Rector of Colegio San Juan de Letran in Manila, has sent De La Salle University President Brother Raymundo Suplido a letter complaining about the university’s recruitment of the NCAA-winning Knights’ coach Aldin Ayo. For the benefit of readers who are really not into these things, Ayo is a former Letran Knight himself who recently guided his school’s senior basketball team to its first NCAA title in a decade and in doing so also denied arch-rival San Beda College a double hattrick of straight NCAA titles. Following a poor season in the UAAP when the Green Archers could not even squeak into the Final Four, Head Coach Juno Sauler handed in his resignation. 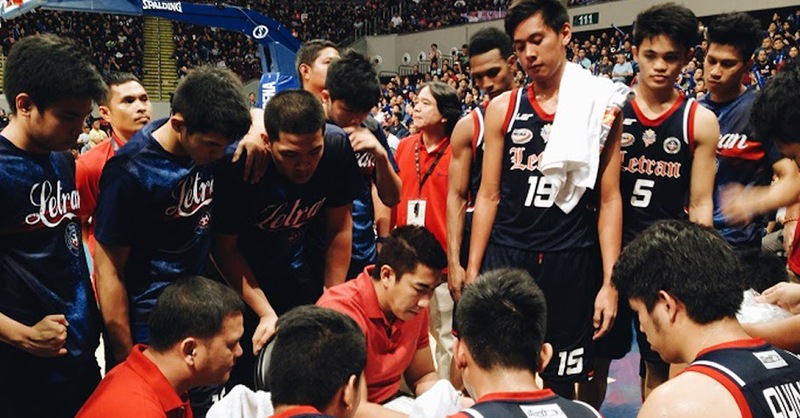 DLSU then turned to Letran’s Ayo to pick up the pieces. To this, my immediate reaction was, “boohoo!” Why disturb a fellow institutional president with a sob story when the key to the whole brouhaha is right in your hands: the contract! A few prominent Letran supporters have already gone on record to say that DLSU’s piracy – it was – of Ayo was ‘unethical.’ But was it? It depends. At the very least, I will say it was insensitive to poach the winning coach of another institution, particularly one that offered hope after years in the sporting wilderness because of a rival school’s dominance of the league. That said, piracy is not limited to sports alone. It happens every day in the corporate world. Every company – and a school is one – is entitled to seek the best employees its wage structures can afford to hire; and every employee is entitled to seek the best remuneration package he thinks his talents and abilities are worth. What makes recruitment from other institutions somewhat unsavoury is if it is done surreptitiously. To my mind, recruitment of employees from another institution is best conducted with the knowledge and permission of their employers. In the case of Ayo, Letran could have been served by strict rules similar to those implemented in the world of football. Under these rules, representatives of a football club are not allowed to even casually speak to another club’s player about moving, else this can be construed as ‘tapping’ and can draw penalties. The only way a club can speak with another player – or even coach – about recruitment is if permission can be obtained to do so from the player’s or coach’s parent club. I do not know for a fact that similar rules do not exist to govern Philippine sports. On the other hand, why would Marquez be writing to Suplido if there were? As I said, ultimately everything boils down to the contract which Marquez ironically sent a copy of to Suplido. Another online article also published by the Manila Bulletin reports that Ayo cited ‘personal reasons’ for leaving Letran. There is no legal way that Letran could have rejected Ayo’s resignation from his post as Head Coach of the Knights. We can all conjecture ourselves to death about what Ayo’s personal reasons for leaving really were. We will never know unless he himself says. But will a young coach risk his fledgling career – it is fledgling – to move to a university for which he really has had no real affiliation in the past just for the sheer prestige of doing so? No, most of us are probably correct in assuming that the remuneration package was the selling point, something that Ayo has every right to consider. The question now shifts to how Ayo was recruited, details of which I have not seen in any report. Anti-‘tapping’ rules would have made Letran aware that another institution was making overtures to prise away its championship-winning coach. This way, Letran could have sat Ayo down in an attempt to match or even go above what the latter was being offered. Of course, a new question arises; and this one asks Letran how much it ultimately wanted to hold onto its championship calibre coach. Not an awful lot, obviously; which makes Marquez’s letter to Suplido, if true, something of a curiosity. Never mind DLSU’s inflated tuition structures; its operational expenses will naturally also be higher than those of Letran. This is just me, but I think that if Letran really wanted to, it could have matched whatever DLSU had to offer. Unless, of course, Ayo really wants to coach the Green Archers for romantic reasons. Just who in hell among us really believes he does. Personally, I think after watching the Green Archers become increasingly stale after winning the UAAP championship that DLSU was entitled to find someone to replace Sauler. I am not convinced, however, that Ayo is the right person to try and restore green pride in the UAAP. There is really not an awful lot in his CV. For his sake, I hope that he does not turn out to be a flash in the pan; and that he will not ultimately regret leaving the homey comforts of Intramuros for the cauldron of expectations awaiting him in Taft.